Samsung PH announced and named their latest brand ambassador, inline with the grand reveal of Samsung's newest Galaxy A Series (2017) flagship phone. 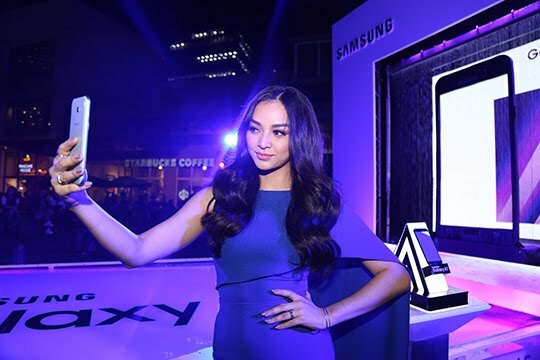 Last Friday, 1/20, Samsung PH reveals the new Galaxy A (2017) smartphones, with Ms. International 2016 Kylie Verzosa as its newest ambassador. Teacher, model, and now a famous beauty queen, Kylie Verzosa, is ready to conquer the world. During the grand reveal, Kylie was very excited and privileged that she's the chosen one to carry the world-famous smartphone manufacturer. The Samsung Galaxy A Series (2017) smartphones: Galaxy A5 (2017) and Galaxy A7 (2017) retail at PHP19,990 and PHP23,990 respectively, making each one a top-of-the-line smartphone within reach. The Galaxy A5 (2017) and Galaxy A7 (2017) official store release is scheduled on January 28, 2017 but you can pre-order them ahead by checking us out on Lazada PH.